(Bloomberg) -- Fiat Chrysler Automobiles will recall 88,346 Dodge Challengers to fix a flaw with the driver-side frontal airbag, according to the National Highway Traffic Safety Administration. The recall, posted on NHTSA’s website Saturday, affects 2008-2010 model year Challengers manufactured between September 2007 and October 2010, according to the NHTSA safety report. 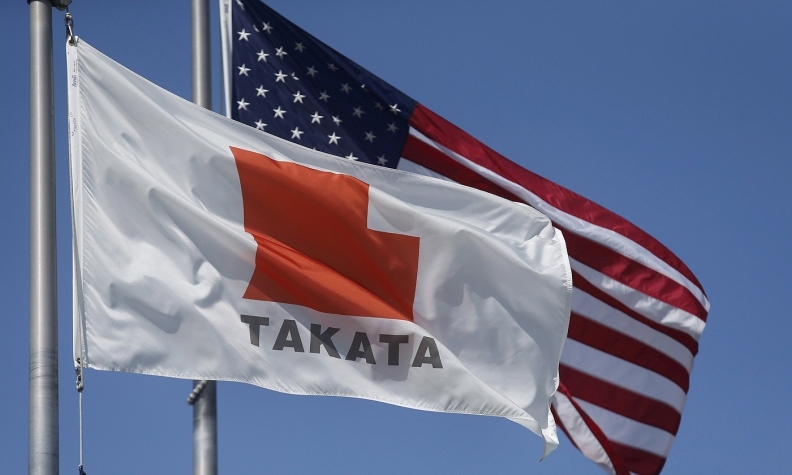 The announcement marks an expansion of the list the agency received from the company in May as part of nationwide recall to replace faulty airbags made by embattled Japanese supplier Takata Corp.
Inflators on the affected devices are subject to moisture intrusion, which could cause them to rupture and spray metal fragments on the driver, the report said. Chrysler will replace the frontal airbag inflators, which aren’t currently available, according to NHTSA. The Takata airbags are the subject of what is expected to become the largest auto-safety recall in U.S. history, linked to eight deaths and hundreds of injuries dating back more than a decade. All the fatalities took place in Honda Motor Co. vehicles. On May 21, Chrysler authorized a recall for certain vehicles produced between 2004 and 2011. On July 6, a Chrysler audit showed that the 2008-2010 model year Dodge Challengers were “inadvertently excluded” from the earlier recall, prompting the new action.